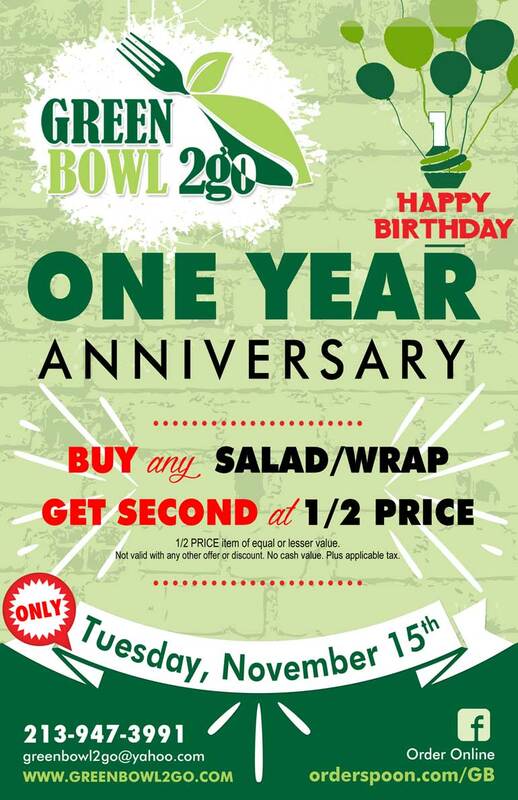 Union Station’s GREEN BOWL 2go is celebrating their one-year anniversary on Tuesday, Nov. 15 with a special offer! Buy any salad or wrap on Nov. 15 and get a second at half price. There will also be new menu items to sample. GREEN BOWL 2go is located in Union Station East, directly below the Patsaouras Bus Plaza. 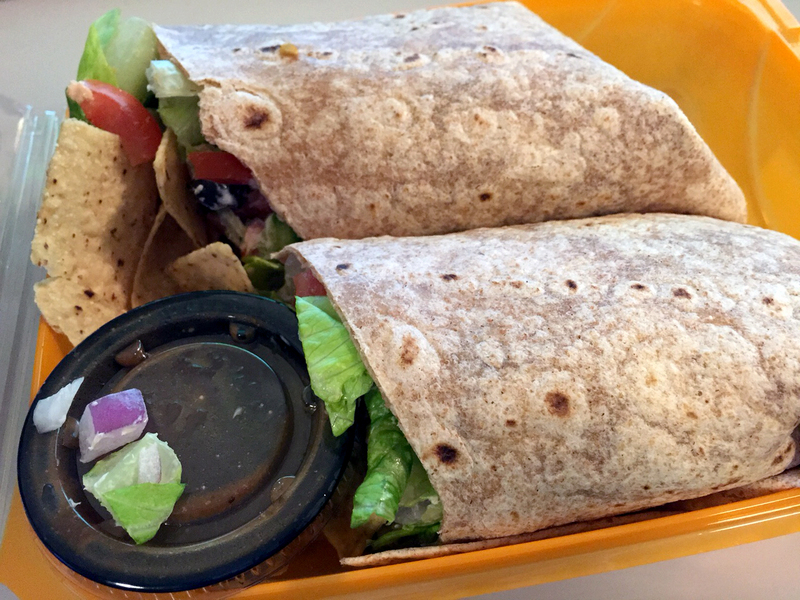 A to-go tuna wrap from GREEN BOWL 2go.